Yes, the world would generally be a better place if people did not ghost. 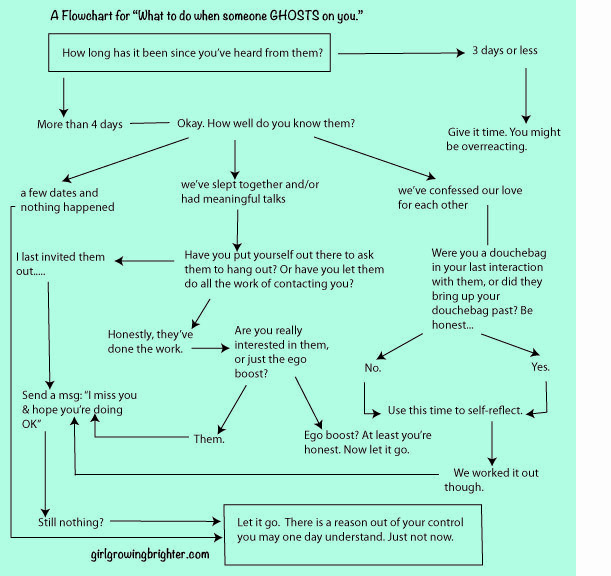 However, if this happened to you, here is a handy flowchart you can use to make sense of your experience! Every missed opportunity is a chance to learn! Take care of your hearts this week, y’all.